The First Squad reports the details of a Robbery which occurred on Monday, July 07, 2014 at 6:50 A.M. in East Meadow. Update - July 13, 2014 - First Squad detectives report the arrest of Tyrone Rispers, 34 of 153-95 Rockaway Boulevard, Queens for the above robbery. On Saturday, July 12, 2014 at 6:59 p.m. the victim was at the Long Island Railroad Jamaica Station when she observed the defendant in the terminal. She notified New York City Police who responded and placed Rispers under arrest. Rispers is charged with Robbery 2nd degree and will be arraigned on Sunday, July 13, 2014 at First District Court in Hempstead. Original Release - East Meadow, NY - July 7th, 2014 - The First Squad reports the details of a Robbery which occurred on Monday, July 07, 2014 at 6:50 A.M. in East Meadow. According to detectives, a female victim, 25, exited the J train at Jamaica Station and got into a livery cab for a ride back to Long Island. The suspect drove the victim to Park Avenue and Waverly Place where he pulled to the side of the road and demanded her money. The suspect punched the victim in the face and attempted to take her pocketbook. During the struggle the victim fell from the car causing minor injuries to her leg, shoulder and back, along with a loose tooth. The suspect fled westbound on Park Avenue in a silver compact SUV without any proceeds. 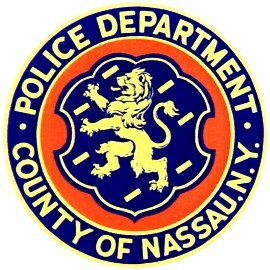 Detectives ask anyone with information regarding this incident to contact Nassau County Crime Stoppers at 1-800-244-TIPS. All callers will remain anonymous. Subject: LongIsland.com - Your Name sent you Article details of "Update: Cab Driver Arrested for Assaulting Woman in East Meadow"